Looking for a last-minute adventure this year? Escape to Antarctica, where you can find yourself among the very few to step foot on the southern continent. 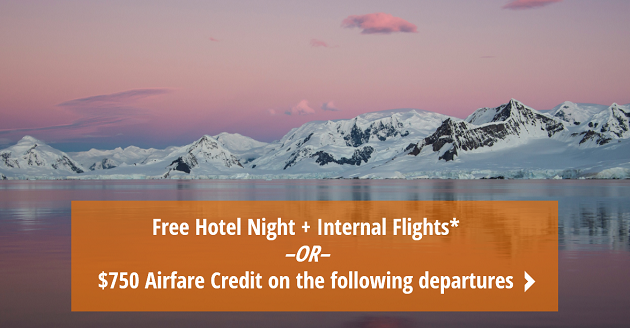 Surrounded by stunning, raw mountains and abundant wildlife, an Antarctica cruise is sure to be the trip of a lifetime! 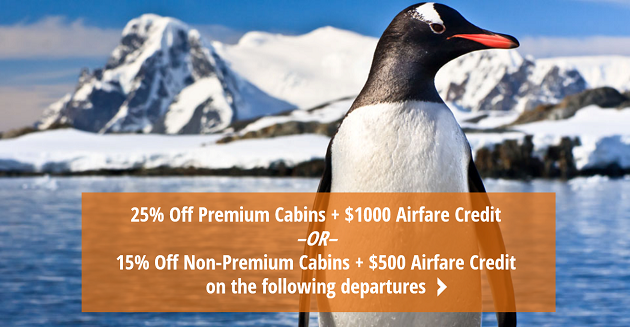 Book now and save on these last minute 2014 Antarctica specials! -One night pre-cruise hotel accommodation in Ushuaia (recommended) or in Buenos Aires. -Round-trip domestic flights from Buenos Aires to Ushuaia and Ushuaia to Buenos Aires. -Group transfer from the hotel to the airport in Buenos Aires and in Ushuaia from the airport to the joining point or to the hotel. These deals won’t last long! Contact us today to speak with an Adventure Specialist about reserving your spot! Call 1-800-543-8917 or email info@nathab.com.